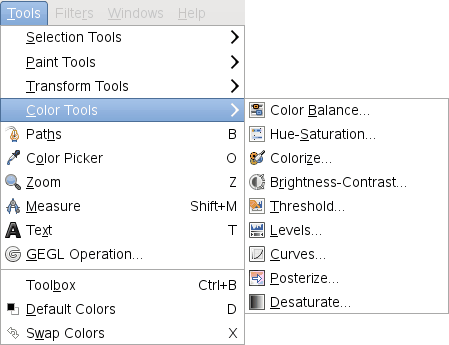 Access to the Color tools through the “classical” Tools menu. 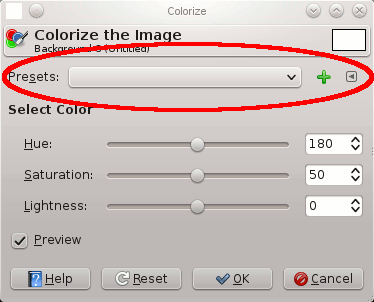 Access through the Colors menu is easier and faster. 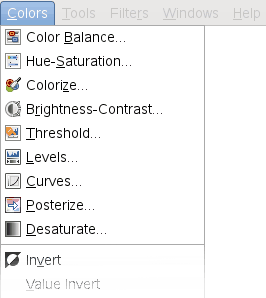 Except Desaturate and Posterize, color tools have presets: saved tool settings that you can retrieve later. Presets: this drop-down list shows you the existing presets. Every time you change tool settings, a new preset is automatically saved, with date and hour; you must be aware of that, to preserve your computer memory. 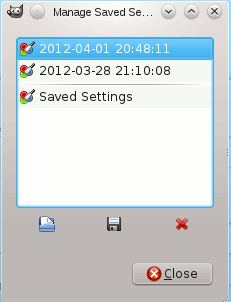 The cross: clicking on this cross opens a window where you can save current settings under the name you want.